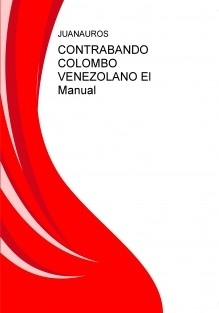 ESTE ESTUDIO NOS MUESTRA EN UNA FORMA CRUDA Y REAL TODO EL MANEJO INTERNO DEL CONTRABANDO COLOMBO VENEZOLANO Y DESNUDA TODO SU TRANSFONDO ..EN EL PODEMOS VER EL MANEJO DE LAS ORGANIZACIONES (FARC,BACRIM,AUTORIDADES COLOMBIANAS Y VENEZOLANAS). Y PROCEDIMIENTOS .LAS MERCANCIAS Y PRODUCTOS (CHATARRA,HIERRO,ALUMINIO,PVC.) ALIMENTOS TODOS LOS COMPONENTES DE LA CANASTA FAMILIAR.Y DEMAS PRODUCTOS QUE INGRESAN IMORTADOS A VENEZUELA.LAS EXPORTACIONES ILEGALES .EL TRAFICO DE DROGAS Y EL LAVADO DE ACTIVO..-LOS NOMBRES REALES HAN SIDO CMBIADOS.